Selling a home can be a time-consuming and stressful affair. Properties can languish on the market for months, sometimes years, with only occasional viewings and no offers. It can be particularly difficult for homeowners who are eager to move but must wait for their old home to sell, or those who are in financial difficulties. Although owning a home offers financial alternatives, such as equity release or remortgaging options, many prefer a quick, hassle free sale. A homeowner may wish to quickly sell their home for many different reasons. 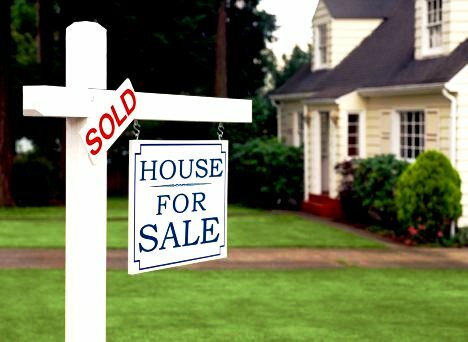 If they are looking to move away from the area quickly, perhaps because of a job offer across the country, they might not have the money to buy a new property without selling the old one or they don’t have the time it takes to sell it. Some homeowners find themselves in the position of gaining a property through bereavement, and there are those who are in severe financial difficulties. Whatever the reason, selling a home can be one of the easiest and most effective ways of making considerable money. Many quick buy housing companies have appeared in recent years, and they are perhaps the easiest and quickest way to sell a property. Usually all it takes is a quick phone call to start the hassle free process. The company does a market value estimate of the property and will offer a price based on this valuation. The owner typically has around 28 days to accept the offer and, if they are happy with it and wish to pursue the sale, they can be paid promptly in cash. The process is quick and secure and the estimates are free, with no obligation. Some companies can pay you the cash within 7 days. Property auctions have grown in popularity in recent years, and the properties that sell well at auction are at completely different ends of the housing market. Properties that are in need of repair and can be sold cheaply do well at auction as investors often see the potential of a ‘fixer upper’ which can be sold on at a greater price. However, properties that are highly sought after and in high demand do very well at auctions, too, as they can instigate fervent bidding wars. The downside to an auction is that, once the bidding starts, you have to sell your property for that price. You may have to sell it for considerably less than it’s market value. Although you can expect to pay the auctioneers a fee of around 2.5% commission, the new owner has to pay you 10% of the price on the day, and the rest within 28 days. For many people, going through an estate agent is not the quickest way to sell the property, even though you are more or less guaranteed to get the price that you want. However, an estate agent might be considered if you are willing to considerably undervalue the property. If you offer a property for less than the market value, you may find that potential bargain seekers or property developers will quickly put in an offer. This can be an effective way to sell a house that is in need of substantial repairs, although those with homes that are in good condition may find that they lose out. Estate agents will also take a fee, which is typically around 2%. For more information on equity release and selling your house quickly click the link.